The record is made up of 1 file (41 folios). It was created in 5 Feb 1936-8 Jun 1936. It was written in English. The original is part of the British Library: India Office The department of the British Government to which the Government of India reported between 1858 and 1947. The successor to the Court of Directors. Records and Private Papers. The file contains papers relating to the desire of the Government of Iraq to engage an expert for a few months to reorganise the health service of Iraq (and the subsequent decision of the Iraqi Government not to proceed with the recruitment of this expert). The papers mostly consist of India Office The department of the British Government to which the Government of India reported between 1858 and 1947. The successor to the Court of Directors. 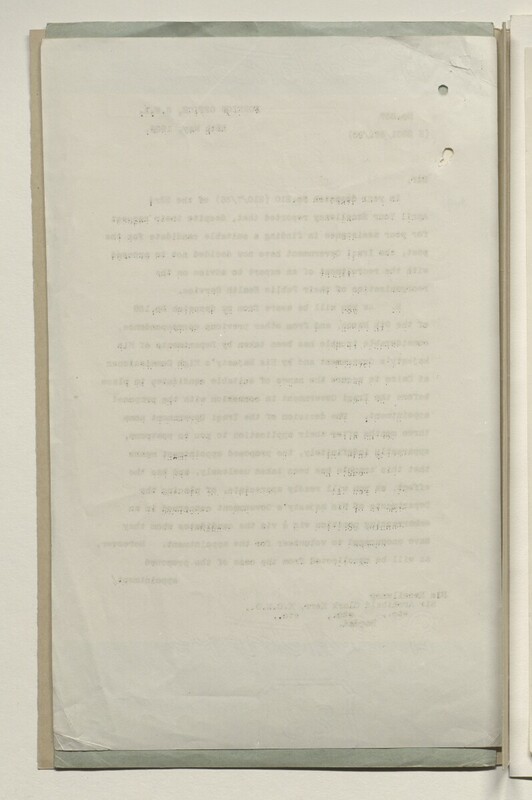 internal correspondence, correspondence between the India Office The department of the British Government to which the Government of India reported between 1858 and 1947. The successor to the Court of Directors. and the Foreign Office, copy correspondence between the Secretary of State for the Colonies and the Governor of Ceylon [Sri Lanka], and copy correspondence between the Foreign Office and the following: HM Embassy at Baghdad, HM Representative at Cairo, and the Colonial Office. The file includes a divider, which gives lists of correspondence references contained in the file by year. This is placed at the back of the correspondence. Foliation: the foliation sequence (used for referencing) commences at the front cover with 1, and terminates at the inside back cover with 44; these numbers are written in pencil, are circled, and are located in the top right corner of the recto The front of a sheet of paper or leaf, often abbreviated to 'r'. side of each folio.